A racier model with a taller, fractional rig was also available. The MK II Classic (shown above) and Mark II LRC (Long Range Cruiser), were introduced in 1994. The LRC came with inboard 18- or 27-horsepower diesel saildrive engines instead of outboards. 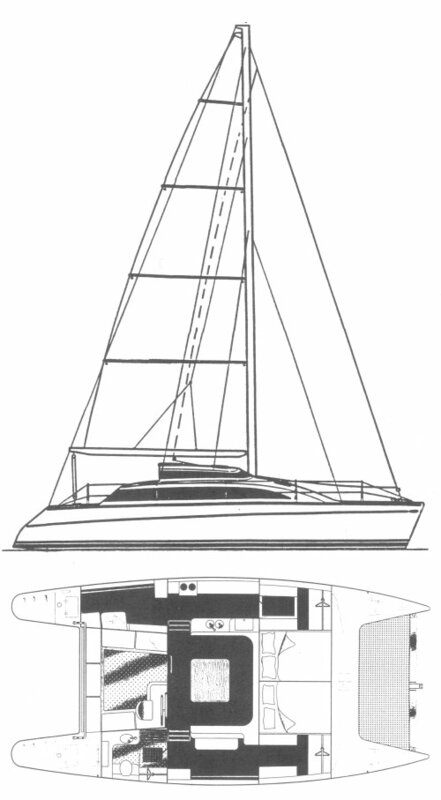 Other changes in the Mark II LRC included increased tankage, beefier standing rigging and safety bars at the mast. The Mark III, introduced in 1998, continued with the Classic and LRC distinctions. The most noteworthy feature of the Mark III was the popular optional hard-top bimini. Later on, the mainsheet traveler was moved to the top of the hard-top.